The Internal Revenue Service rehired 213 employees who ducked taxes, falsified documents, were convicted of theft, or made unauthorized use of taxpayer data, an inspector general’s report says. The Office of Treasury Inspector General for Tax Administration, which also first discovered the IRS’ targeting of conservative groups in 2013, examined the agency’s hiring from January 2015 through March 2016. The Trump administration is prompting a lot of change in Washington. Now, there’s a new call to get to the bottom of the corruption inside the Internal Revenue Service’s well- coordinated scheme to target conservative organizations. 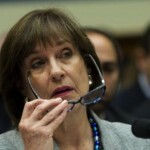 House Ways and Means Committee Chairman Kevin Brady and Tax Policy Subcommittee Chairman Peter Roskam have sent a letter to Attorney General Jeff Sessions asking the Department of Justice to re-open a probe of the conduct of former top IRS official Lois Lerner, who was at the center of a targeting scandal that discriminated against conservative organizations which had applied for tax-exempt status. In fact, in this new plea for the Justice Department to get involved, the lawmakers contend there is clear evidence Lerner willfully took part in criminal activity during her tenure as the Exempt Organizations Division director. The lawmakers urge the Department of Justice to “take a fresh look at the evidence” concerning Lerner’s actions in this matter. We completely agree. Lois Lerner got off easy. She never faced charges for her role in this scandal. She was never prosecuted. She was permitted to retire – with a tax-payer funded pension. For years, we’ve been demanding that Lois Lerner and others be held accountable for their roles in this scandal. We have repeatedly called for the removal of IRS Commissioner John Koskinen and now believe this latest request to get to the bottom of Lois Lerner’s actions is clearly warranted – a request that Attorney General Sessions should not ignore. We continue to move forward in holding the IRS accountable in federal court. 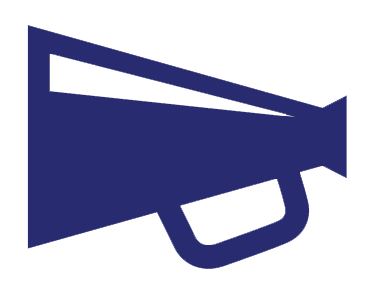 We represent 37 organizations in our ongoing lawsuit. After more than seven long years, one of our clients – the Tri-Cities Tea Party based in Washington State – finally received its tax-exempt status. Another client – the Albuquerque Tea Party – has been waiting for more than seven years, too, but has yet to receive a determination from the IRS. At the same time, we’re encouraged by a new court order just issued in the case – an order that clears the way for us to discover the IRS’s “past acts of alleged discrimination stemming from the alleged illegal targeting scheme,” as well as “the current status of the [IRS’s] tax-exemption application process,” in order to determine not only the entire scope of the IRS’s discriminatory treatment of these organizations but, more importantly whether discrimination is continuing today. That means we will be able to obtain critical documents from the IRS – documents that will be instrumental in determining how this scandal unfolded and who was involved. We continue to do all that we can to root out the culture of corruption inside the IRS. But, as I have said many times, the IRS is incapable of self-correction. That’s why lawsuits like ours and Congressional efforts to request a new probe of Lois Lerner’s actions are so important. Let’s not forget the words of President Obama in February 2014 – as the Justice Department investigation of the IRS targeting scheme was still underway – who proclaimed there was “not a smidgeon of corruption” at the IRS. 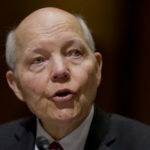 Why is IRS Commissioner John Koskinen still in office? A growing number of Capitol Hill Republicans want to know — and they have good reason to be troubled. When he took over in 2013, Koskinen was supposed to “fix” the IRS — and in particular get to the bottom of the scandal in which the agency deliberately held up approvals for 75 conservative and Tea Party groups that had applied for legitimate tax exemptions. The Internal Revenue Service has located 6,924 documents potentially related to the targeting of Tea Party conservatives, two years after the group Judicial Watch filed a Freedom of Information Act lawsuit for them. The watchdog group intended to find records regarding how the IRS selected individuals and organizations for audits that were requesting nonprofit tax status. 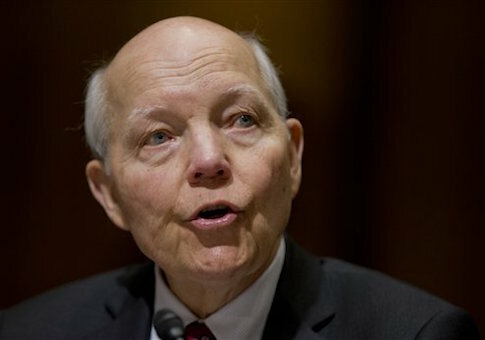 IRS Commissioner John Koskinen will appear before the House Judiciary Committee to defend himself against impeachment charges following his role in the Lois Lerner targeting scandal. Koskinen was appointed to lead the IRS after promising to bring transparency and openness to the embattled agency. He has failed. The IRS failed to search five of six possible sources of electronic media for Lois Lerner’s emails, according to documentation released by the House Oversight Committee in July 2015. The IRS now says it has recovered a hard drive belonging to a former top employee, months after the agency admitted it had erased the data despite the existence of a preservation order. The hard drive belonged to the agency’s former director of transfer pricing operations at the IRS Large Business and International Division, likely a key employee involved in the agency’s controversial, taxpayer-funded hiring of elite white shoe law firm Quinn Emanuel. Earlier this year, the IRS quietly announced it had erased this hard drive, despite a preservation order borne from a Freedom of Information Act (FOIA) request. 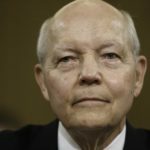 Under pressure from Congressional investigators, IRS chief John Koskinen last month said that the agency had discovered a backup of the employees’ hard drive. Now, the agency has changed its story a third time, saying it has discovered the employee’s hard drive. Given the constant feet dragging and changing stories, it is likely the IRS would never have recovered this hard drive without pressure from Congressional investigators. While this story again proves the ineptitude of the IRS, of bigger concern to taxpayers should be the agency’s decision to hire an elite law firm to perform audits. There is no reason the agency should be hiring costly outside counsel that has zero experience protecting sensitive, confidential taxpayer data. Unfortunately, this is exactly what happened when the agency hired elite law firm Quinn Emanuel under an initial $2.2 million contract despite the firm having never even conducted an audit. Not only is this wasteful, it is also unnecessary. The IRS already has access to around 40,000 employees responsible for enforcement. The IRS can also turn to the office of Chief Counsel or a Department of Justice attorney, both of which have the expertise to conduct this kind of work, without risking sensitive information. This hiring decision was described as “troubling” by a federal judge and prompted a probe by Senate Finance Committee Chairman Orrin Hatch (R-Utah). Ultimately, while this decision appears to be reckless and unnecessary, it appears not to break any laws. But regardless, the IRS should not be allowed to spend taxpayer resources on an unqualified trial law firm given the agencies record failing to safeguard taxpayer data and using its power to target taxpayers for their political beliefs. 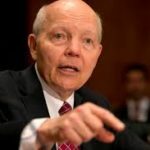 A government accountability group is suing the Internal Revenue Service (IRS) and Commissioner John Koskinen for allegedly violating federal law by regularly deleting official records as part of an agreement with its government employee union. 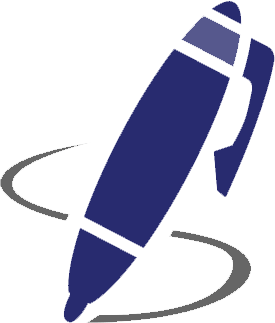 The IRS has an agreement with the National Treasury Employees Union that prohibits the agency from saving any instant message records of its employees, documents obtained by Cause of Action Institute – the group suing the IRS – show. Federal laws, however, require the agency to preserve such records. 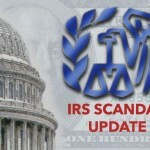 The federal tax agency has been the focus of a continuing scandal. A federal judge said the IRS isn’t to be trusted as he and his colleagues tried Thursday to figure out whether the tax agency is still targeting tea party groups for intrusive and illegal scrutiny. Judge David B. Sentelle of the U.S. Court of Appeals for the D.C. Circuit said there is strong evidence that the IRS violated the constitutional rights of the groups when it delayed their nonprofit status applications and asked inappropriate questions about their political beliefs. The agency’s insistence that it has retrained employees and instructed managers to behave better did not mollify the judges, who said past IRS behavior doesn’t lend itself to the benefit of the doubt. House Republicans are aiming at the Internal Revenue Service this week, taking up four bills to ensure integrity in hiring and better customer service. “We have recently learned…that IRS employees that have been fired for misconduct have been rehired” in the last several years, Rep. Kristi Noem (R-S.D.) told a news conference on Tuesday. Americans spoke out. And the Internal Revenue Service (IRS) listened. A new regulation proposed by the IRS would have some nonprofit charities report the Social Security numbers of donors giving at least $250 in one year. 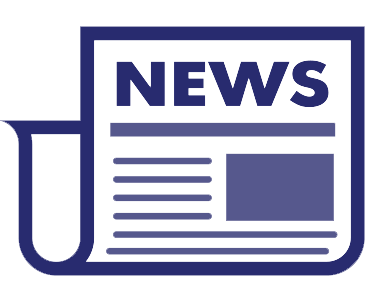 The regulation would permit, but not require, charitable organizations to file a new, separate information return (in addition to the Form 990) to substantiate covered contributions. The new informational return would require the charity to collect an individual donor’s name, address, and Social Security number, and provide a copy to the donor. I first sounded the alarm about this problematic issue last month. At the American Center for Law and Justice, we strongly opposed this regulation, filing comments with the IRS explaining why such a move would be damaging by undermining consumer and taxpayer protections, and likely result in reduced charitable giving. The IRS erased a hard drive belonging to a former top employee involved in the agency’s controversial, taxpayer-funded hiring of elite trial law firm Quinn Emanuel. Although there was a court preservation order on all documents related to the IRS hiring of the outside firm, the hard drive was erased anyway. The order was borne of a Freedom of Information Act (FOIA) request submitted by Microsoft. The IRS is abusing its authority once again by employing the help of a private law firm in its case against Microsoft. Justice Department officials used “prosecutorial discretion” to shelter former IRS official Lois Lerner from a grand jury after she was held in contempt of Congress. “I believe that in the exercise of prosecutorial discretion, the matter was handled and was resolved,” Attorney General Loretta Lynch told the House Judiciary Committee on Tuesday morning. The IRS is still holding up the nonprofit applications of tea party groups, including one that has been waiting nearly six years for approval, as conservatives panned the Justice Department’s announcement last week that it had cleared the tax agency, and former senior executive Lois G. Lerner, of any wrongdoing. The Obama administration’s decision, outlined in a Friday afternoon letter to Congress, said the IRS did mishandle nonprofit status applications from conservative groups but said the bad behavior wasn’t criminal.